Thankfully, there is not much left to be packed now. It's odd seeing the flat so empty (except for boxes). is a German term meaning "pleasure taken from someone else's misfortune". I find it a very interesting concept and I expect there are people who regularly take pleasure from the misfortunes of others. I can almost understand it in the case of someone who has hurt you getting their perceived come-uppance. Yes, I have a reason for this musing. Someone who used to be a good friend and then went off the rails a bit (a lot actually) has had a bit of misfortune. They caused a lot of grief to myself and Graeme and I expect it would be almost justified to feel some kind of satisfaction over their recent failure. However, I don't know that I do. I feel more sad for them. I'm sad that they haven't grown up enough over the last few years to stop making the same mistakes time and time again. I'm sad that they feel the world is responsible for their problems when really they could do a lot more to help themselves. Maybe I'm just too soft?! 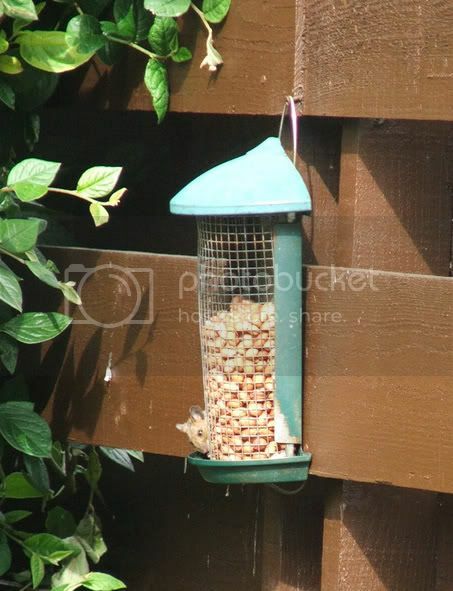 When I was home at my Parents last week, I managed to get a piccy of this little chap stealing the birds nuts! I had to take it from the house so it's on full zoom but I'm pleased with it nonetheless. 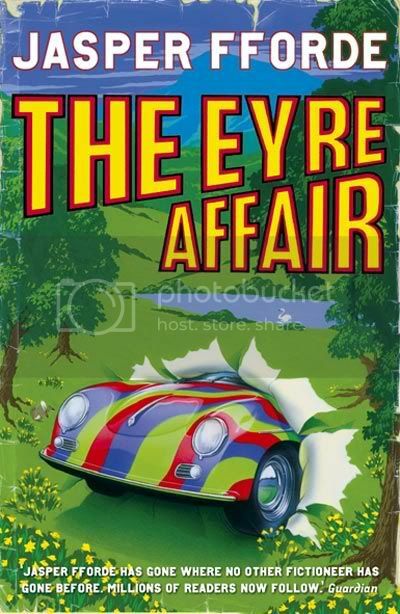 A few friends mentioned to me that if I liked Terry Pratchett, then I would like Jasper Fforde. So, I gave him a try (courtesy of Ottakers half price sale). In the space of about two weeks I read the four Thursday Next novels and I really don't know how I managed to pass them by before. They are excellent - truly imaginative, witty, well-written and utterly unputdownable :o) It's been a good while since I read something quite as good and it was great to connect with a character like Thursday Next (a woman trying to lead a normal life in an increasingly strange world). Another piece of the puzzle falls into place! Anyway, getting to the point - GRAEME'S GOT A JOB NOW :oD Yay! How pleased am I?! Probably not as pleased as him but very happy nonetheless! It's for a very good practise in London, who have completed projects for celebrities and other wealthy people. He's also getting a damn good salary, which is a bonus! As his work is going to be in Chelsea, we now have to reconsider where we were planning on living. It's probably just as well the other flat fell through, as it would have been completely the wrong location for us in the end! Now, we are looking at areas around Acton and Ealing (West London), which are probably much nicer than where we were looking before. the Universe made manifest, trying to figure itself out.